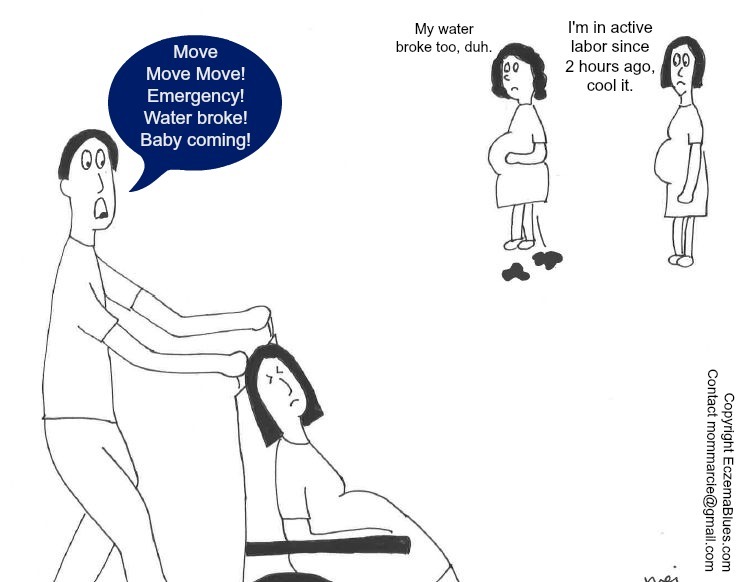 Mom NeedyZz Cartoon – Emergency! Baby’s Coming! Posted byMei 12 January, 2015 4 March, 2015 Leave a comment on Mom NeedyZz Cartoon – Emergency! Baby’s Coming! lol I guess those two moms in the background are not first-timers. Sometimes we forget that women give birth all the time but yet, it feels like a new thing when it’s your first! For more cartoons on Kate and Mark, see here. Ask #Skinish Mom – How to Fend Off Well-Intentioned Eczema Tips from the Ignorant?